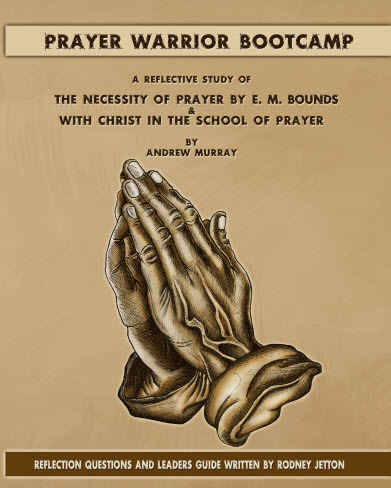 It is worthy of note that the praying to which such transcendent position is given and from which great results are attributable, is not simply the saying of prayers, but holy praying. It is the “prayers of the saints,” the prayers of the holy men of God. Behind such praying, giving to it energy and flame are the men and women who are wholly devoted to God, who are entirely separated from sin, and fully separated unto God. These are they who always give energy, force and strength to praying. Our Lord Jesus Christ was preeminent in praying, because He was preeminent in saintliness. An entire dedication to God, a full surrender, which carries with it the whole being, in a flame of holy consecration — all this gives wings to faith and energy to prayer. It opens the door to the throne of grace, and brings strong influence to bear on Almighty God. The “lifting up of holy hands” is essential to Christly praying. It is not, however, a holiness which only dedicates a closet to God, which sets apart merely an hour to Him, but a consecration which takes hold of the entire man, which dedicates the whole life to God. A righteous man is an obedient man. Our Lord Jesus Christ, “holy, harmless, undefiled, separate from sinners,” had full liberty of approach and ready access to God in prayer. And He had this free and full access because of His unquestioning obedience to His Father. Right through His earthly life His supreme care and desire was to do the will of His Father. And this fact, coupled with another — the consciousness of having so ordered His life — gave Him confidence and assurance, which enabled Him to draw near to the throne of grace with unbounded confidence, born of obedience, and promising acceptance, audience, and answer. Loving obedience puts us where we can “ask anything in His name,” with the assurance, that “He will do it.” Loving obedience brings us into the prayer realm, and makes us beneficiaries of the wealth of Christ, and of the riches of His grace, through the coming of the Holy Spirit who will abide with us, and be in us. Cheerful obedience to God, qualifies us to pray effectually. This obedience which not only qualifies but fore-runs prayer, must be loving, constant, always doing the Father’s will, and cheerfully following the path of God’s commands. In the instance of King Hezekiah, it was a potent plea which changed God’s decree that he should die and not live. The stricken ruler called upon God to remember how that he had walked before Him in truth, and with a perfect heart. With God, this counted. He hearkened to the petition, and, as a result, death found his approach to Hezekiah barred for fifteen years. No name, however precious and powerful, can protect and give efficiency to prayer which is unaccompanied by the doing of God’s will. Neither can the doing, without the praying, protect from Divine disapproval. If the will of God does not master the life, the praying will be nothing but sickly sentiment. If prayer does not inspire, sanctify and direct our work, then self-will enters, to ruin both work and worker. How great and manifold are the misconceptions of the true elements and functionings of prayer! There are many who earnestly desire to obtain an answer to their prayers but who go unrewarded and unblest. They fix their minds on some promise of God and then endeavor by dint of dogged perseverance, to summon faith sufficient to lay hold upon, and claim it. This fixing of the mind on some great promise may avail in strengthening faith, but, to this holding on to the promise must be added the persistent and importunate prayer that expects, and waits till faith grows exceedingly. And who is there that is able and competent to do such praying save the man who readily, cheerfully and continually, obeys God? but with obedience, which is faith’s foundation. Obedience to God helps faith as no other attribute possibly can. When obedience — implicit recognition of the validity, the paramountcy of the Divine commands — faith ceases to be an almost superhuman task. It requires no straining to exercise it. Obedience to God makes it easy to believe and trust God. Where the spirit of obedience fully impregnates the soul; where the will is perfectly surrendered to God; where there is a fixed, unalterable purpose to obey God, faith almost believes itself. Faith then becomes almost involuntary. After obedience it is, naturally, the next step, and it is easily and readily taken. We must look well to our obedience, to the secret springs of action, to the loyalty of our heart to God, if we would pray well, and desire to get the most out of our praying. Obedience is the groundwork of effectual praying; this it is, which brings us nigh to God. The difficulty in prayer is not with faith, but with obedience, which is faith’s foundation. The lack of obedience in our lives breaks down our praying. Quite often, the life is in revolt and this places us where praying is almost impossible, except it be for pardoning mercy. Disobedient living produces mighty poor praying. Disobedience shuts the door of the inner chamber, and bars the way to the Holy of holies. No man can pray — really pray — who does not obey.